One of a few canvas bags that I own. It's pretty handy as a travelling bag. The only concern that I have is the lining doesn't hold really well. Mine's already show some obvious wear and tear although I've always been cautious not to carry too many stuffs at once. I'm not fond of heavy bags. 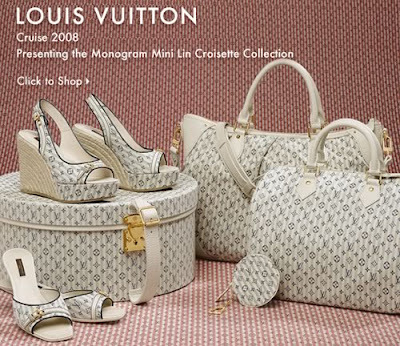 It's from this collection, Louis Vuitton Cruise 2008: Monogram Mini Lin Croisette.